So a few days I ago I had a shot of a fantastic set-up (fellow guitarist in a great covers band), including a Victory V30 amp and some great pedals. Two pedals that stood out were made by Xotic – the EP Booster (boost pedal) and the SP Compressor. Yesterday I went to my local store with the intention of buying the compressor, but walked out with the EP booster. I’m sure I’ll get that compressor at some point… I can’t help but feel using a compressor is cheating a little bit. But the punchy sound you can get out of them really is great. 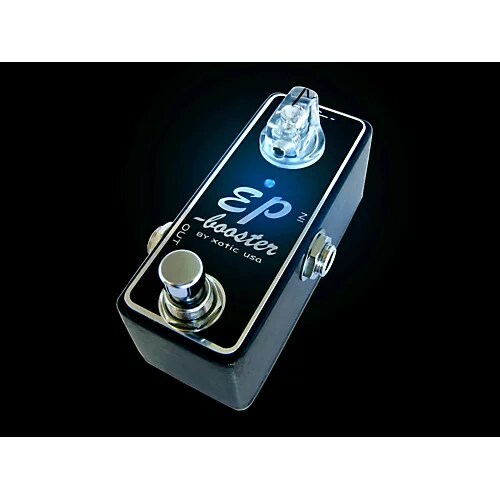 In any case, the EP Booster… I’ve already got a boost pedal. However if you read about this pedal online, you’ll know many use it simply as an “always-on” pedal. Why? Even at its lowest setting (no boost) this pedal colours your sound in the most fantastic way – it’s like the missing link in “tone”… and believe me, I hate saying that, because I’m not a big gear-head or some “tone-searcher”… but it’s undeniable. Check one out for yourself, and hopefully I can do a video soon. For now, this has replaced my TC Flashback (I just don’t use delay or looping often).